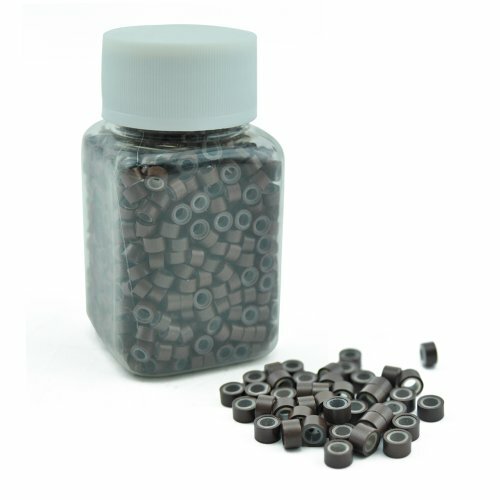 Product details: Silicone-lined micro rings are fabricated with a aluminum metal. Interior of the ring is gentle on the hair with its protective, cushioned silicone lining, allowing you to install them flatter to the head for maximum comfort to the client, and allowing them to remain undetectable. It holds human hair very tightly after pinched and it will not easily get slide when wearing. There are two advantages for silicon rings: 1) No damage to human hair. 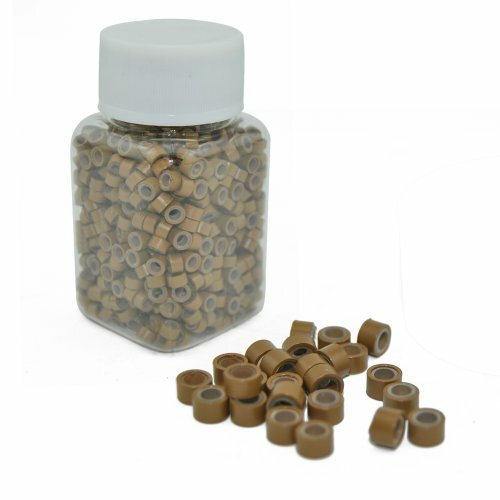 It is because there is very soft silicone lined inside, so it is very safe to human hair even it is pinched very tightly. 2) No silding from human hair. How to Use: Step 1. Simply thread the micro ring onto the threading hook. Step 2. 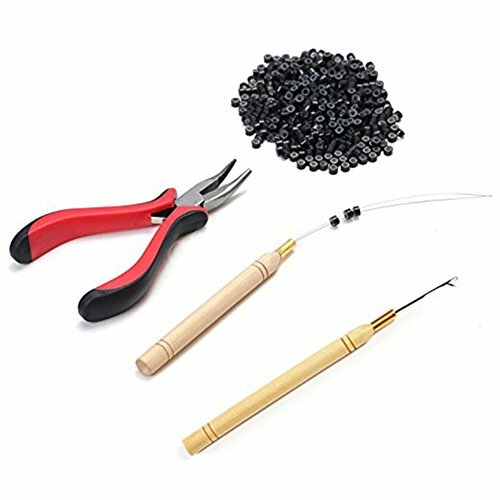 Take a strand of your own hair and slide the micro ring onto your own hair strand by hooking it into the threading hook. Then slide the micro ring onto your own hair. Step 3 Take the extension and slide the I-Tip bond into the ring from the bottom. Step 4 Clamp the ring shut with the closing / opening tool! Step 5 Do several rows on back of head and the sides of head. Step 6 Cut and style extensions. Finished! The extensions will last several months; depending on how fast your own hair grows. Eventually, the micro rings will have to be removed, or moved up towards the scalp again. 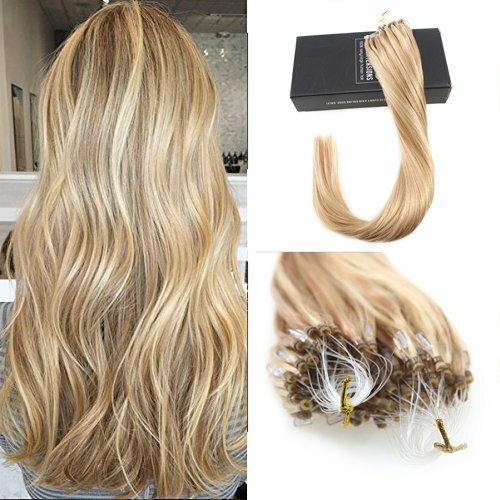 Material: Brazilian Human HairTexture:StraightWeight:1.0g/strandQuantity:50 strands/pack (1-2 packs for highlight or lowlight, 2-3 packs for a full head attachment)Micro loop ring extensions can be easily applied with only a professional plier: no glue, no heat, no damage, easy and safe to attach and remove. 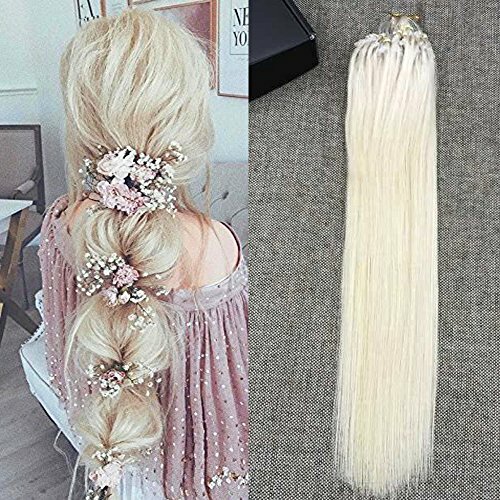 These hair extensions are made of high quality hair. It can be blended naturally with your own hair. Usually, 100-150 strands is enough for a full head. 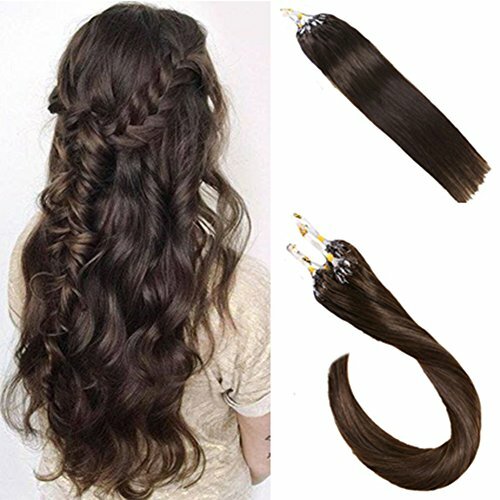 The hair can be washed, curled or straightened. Hair has been dyed. It can be colored two darker shades. 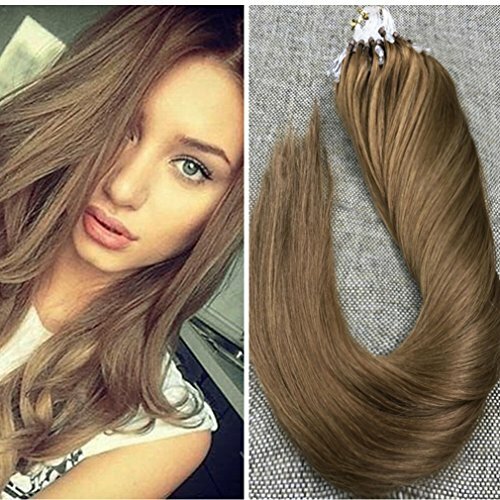 Normally, the hair extensions can last 2 to 4 months with good care. Please pay attention to below points in how to care the hair extensions.1. Wash and conditioner your hair every 2 to 3 days. Don't wash hair right away within 48 hours after you attach the hair extensions.2. Normal hair products are ok for washing hair. Don't put hair products on the attachment area where hair is attached. 3. Avoid using heating tool frequently to protect hair cuticle.4. Never put heating tool near to the attachment area. Because it may melt the tip bond, leading to falling out.5. Tie hair in a bun when swimming, sleeping or doing exercise. PRODUCT INSTRUCTION: 1.Part your hair into four sections - from front to nape of the neck and ear to ear.This makes it easier to work a section at a time.Use hair clips to hold each section in place and out of the way. 2.Beginning with a back section,divide out,about an inch of your hair.You can make your dividing lines parallel from the center of your head. 3.Take one of the small portions of your hair,twist it and pass it through a loop that has a string and an attached micro ring.Now take the pre-tipped hair extension and pass into the micro ring tube. 4.Slide the micro-ring close to your scalp and close it with the closer tool.Once it's flattened,the hair extension becomes firmly attached to your own hair. 5.Follow the same setps with each portion of your hair until you have covered the areas you want. 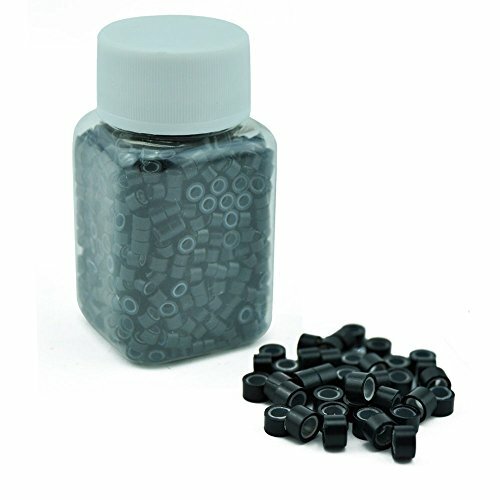 If you have any problem with one of our products please let us know about it. We at TLHOMEBrands will do what ever it takes to ensure your complete satisfaction. 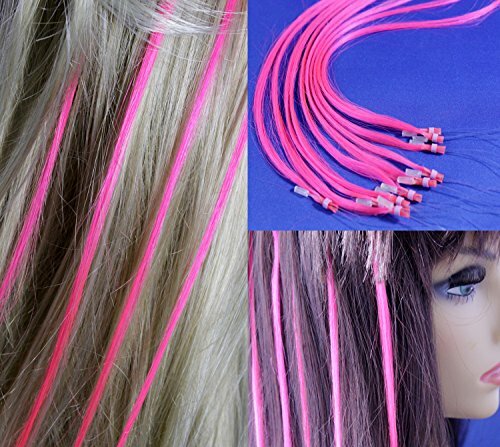 The latest innovation of hair extensions. This is a single micro loop hair extension. It comes with the loop already attached. Just pass a strand of hair through the loop and pull through the micro bead, then clamp the bead. TIP: Do not wash your human hair extensions too often. The less your hair extensions are washed, the longer they last. You can use dry shampoo in-between washes. You can use curling irons. Keep irons or hot rollers at a distance from micro rings. The more you use heat the lesser the life-span of your extensions. Use gentle setting and apply heat-protecting products. Please bare in mind that color you see on your monitor may slightly differ from the actual color. This is due to the fact that every computer monitor has a different capability to display colors and that everyone sees these colors differently, we cannot guarantee that the color you see accurately portrays the true color of the product. 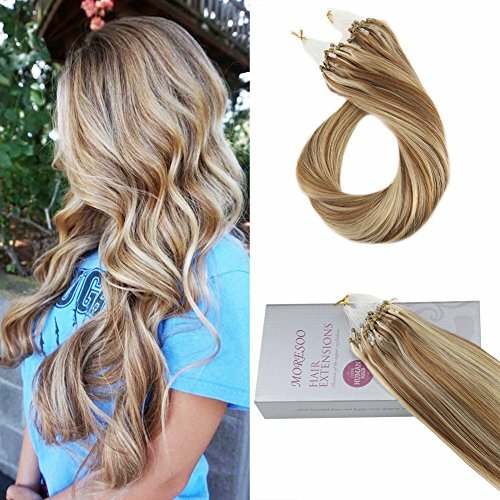 Compare prices on Hair Extensions Microbead at ShoppinGent.com – use promo codes and coupons for best offers and deals. Start smart buying with ShoppinGent.com right now and choose your golden price on every purchase.